We feature the best brands in power equipment at Vaughn's Power Equipment! Dependable, reliable, rugged and trustworthy. That's the only kind of equipment we stock at Vaughn's Power Equipment. Equipment that's made to go the extra mile, and never let you or your business down. For over 20 years, Scag Power Equipment has manufactured Simply the Best commercial mowers money can buy. Scag Power Equipment's innovation and attention to quality is known and respected throughout the commercial power equipment industry. Today, Scag is the largest independent manufacturer of commercial mowers in the country. If you are looking for a commercial lawn mower and nothing less than the best will do, look no further. Vaughn's Power Equipment carries the full line of Scag commercial mowers and can help you find the right model for your needs! Whether you yard is urban or suburban, Snapper has a top-performing walk-behind mower, rear engine rider, lawn and garden tractor, or zero-turn mower to meet your needs. In addition, their trimmers, blowers and vacs make them the obvious answer for just about any lawn and garden job you need done! RedMax products are known throughout the industry as being innovative, durable and feature packed. Innovations continue with the ongoing development of pure 2-cycle engine technology in the form of their patented Strato-ChargedT engine design. With Strato-Charged technology, RedMax tools are able to deliver maximum performance in a light, rugged design. With its low maintenance, light weight and performance 2nd to none, it's easy to see why RedMax products are loved by professionals everywhere. Billy Goat Industries is the premier manufacturer of commercial grade outdoor power equipment used in debris management. They design and produce industrial strength machinery, including... Finish mowers, Lawn and litter vacuums, Wheeled blowers, Walk-behind brush cutters, Aerators, High weed mowers, Debris loaders, Power rakes and overseeders, and Sod Cutters. Billy Goat's reputation is one of durability, integrity, and innovation. They not only design for ease of use, but they aggressively test what they design. It is not unusual to see Goats over fifteen years old still in operation. Founded as a weapon factory in 1689, Husqvarna is one of the worlds oldest industrial companies. Years of experience in precision engineering and manufacturing, combined with an innovative approach to research and development have always put Husky in the forefront of their industry. 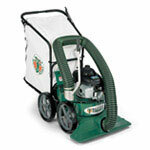 Today, they are a world leader in forestry, lawn and garden products. To ride hills, you have to feel them - become part of the landscape and react with your whole body. The innovative Stander® puts your center of gravity at your feet, not your seat. You use your weight to keep traction on the higher wheels and cross slopes at speeds no other mower can handle, so you mow faster with greater control and without switching to a walk-behind. 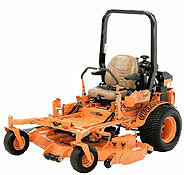 Come see the line of Wright mowers at Vaughn's Power Equipment. Gravely Commercial Equipment: Gravely has grown to become one of the most respected names in commercial lawn and garden equipment. Come see the complete line of Gravely professional walk behind mowers, zero turn mowers, out front mowers, stand on mowers, utility vehicles, turf equipment and chore products at Vaughn's Power Equipment. You're going to be hard-pressed to find another outdoor power equipment brand that's been around longer than Gravely. We're talking nearly 100 years. That's a long time to be a working part of people's lives. So why have so many people for generations stood by the Gravely brand? Plain and simple, the equipment stands up to the work. In addition to these great brands, we also carry small engines from Kohler and Honda, edgers from Even Cut, and more. Stop by the shop and see our versatile lines of outdoor power equipment today, or let us know if you have any questions.